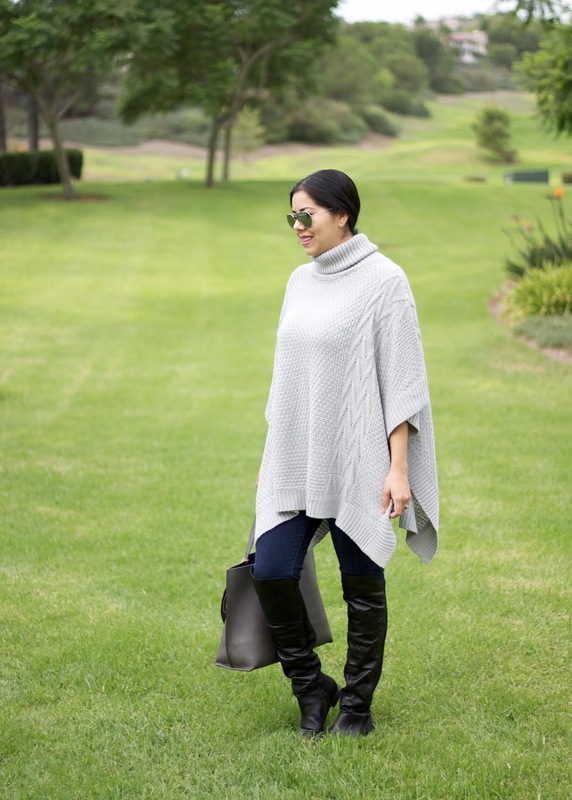 I have been feverishly looking for a nice poncho (hence the title), and finally got my hands on this cozy gray beauty from SheIn ! Part of my poncho checklist was that 1. It looked chic (vs. matronly), 2. It was comfortable and 3. It was not an overwhelming piece (vs. looking like I tossed on a blanket). 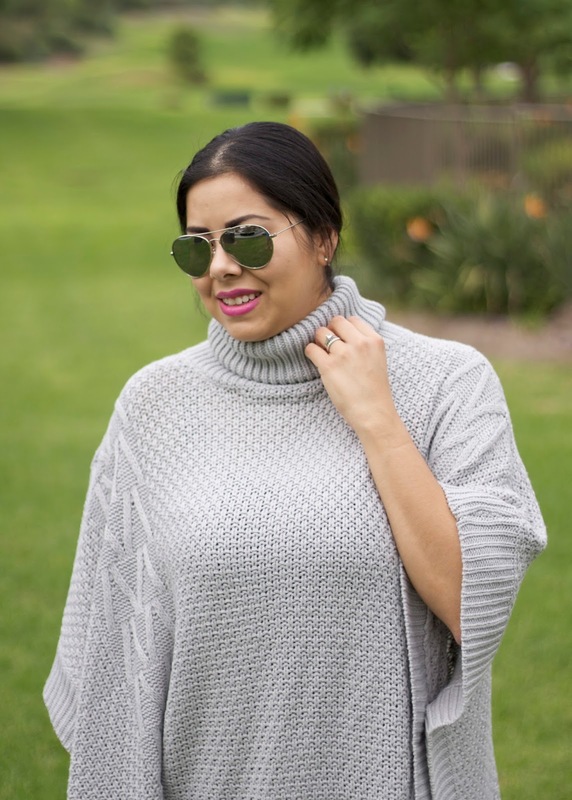 I also feel like I lucked out with this chunky turtle neck poncho, a 2 in 1! 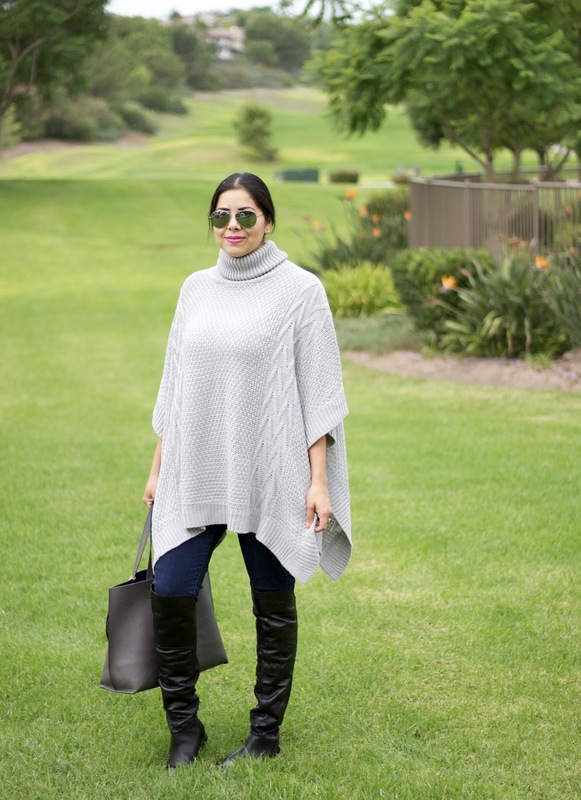 About the Outfit: SheIn Poncho (here) | Cabi "Knight" Skinny Jeans (here) | Over the knee boots (here) | Aviator Sunglasses | Galian Handbag (similar) | Pics by the Hubby! 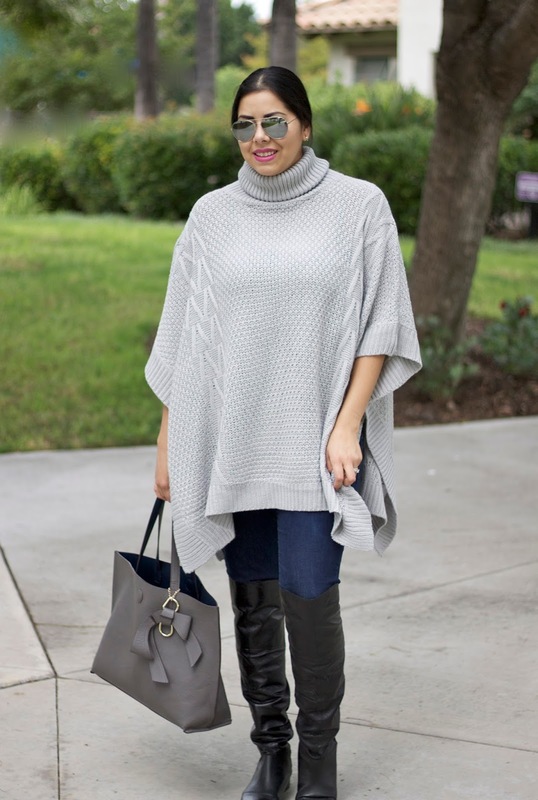 This poncho looks great on you and I love how you've styled it - the tote goes perfectly with the look! I've been really wanting a poncho for autumn/winter too! I love the turtle neck on this one and you wore it really well! You look so regal! 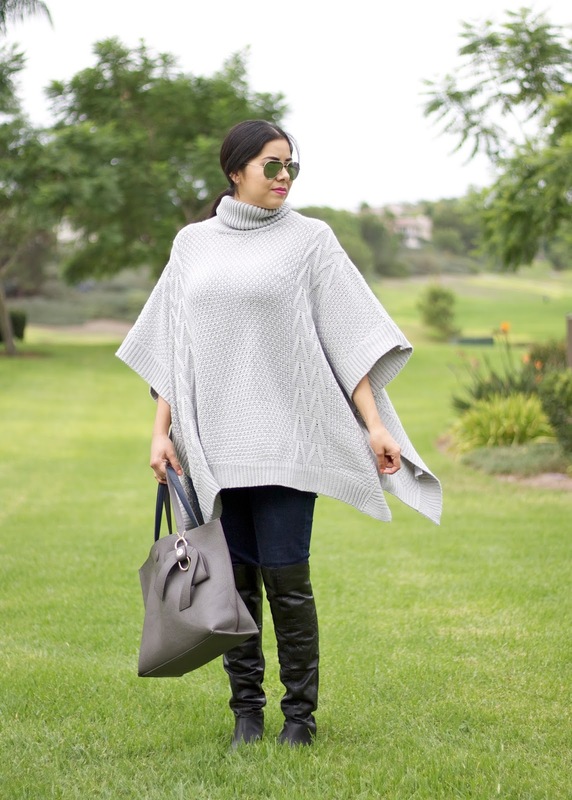 I love a good poncho. Oh Pau, in love with that pocho. Great look.